"This event is a fantastic and ideal opportunity for Aspen Art Gallery to show its commitment and thanks to the Denver community for its overwhelming support, and to make a difference in a charity that I strongly believe in," stated Aspen Art Gallery owner, Damian Guillot. "We get a chance to show our artists and their works to the community, and also help raise money for a very good cause." 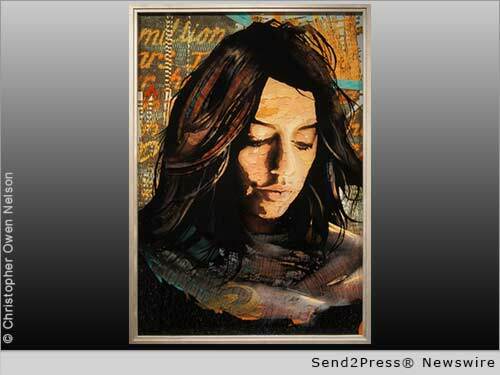 DENVER, Colo., Aug. 27, 2014 (SEND2PRESS NEWSWIRE) — Aspen Art Gallery today donated original art pieces from many of its established artists, including Malotte & Rae, James Vilona, Linda Israel, Mark Yale Harris, Nadaleena Mirat Brettman, Sherri Mignonne, Isabelle Dupuy, Randy Cooper, and Christopher Owen Nelson – a total value of more than $333,000 in art to be auctioned by the 5th Annual Flight to Luxury, A Red Carpet Hangar Party, presented by Cuvee Escapes, benefitting Boys & Girls Club of Metro Denver. Each year, more than 1,000 members of the community come together for a night showcasing luxuries like private villas by Cuvee, elite jets, exotic cars, a couture fashion show featuring Denver’s top boutiques, cuisine from Denver’s top restaurants, and this year, several original pieces of contemporary art, courtesy of Aspen Art Gallery. Aspen Art Gallery is the inspired creation of Colorado resident and entrepreneur, Damian Guillot. After Hurricane Katrina, Damian moved to Aspen, Colorado, to setup his own gallery specializing in contemporary, modern, and fine art. His passion and savvy for selecting eclectic and beautiful pieces has lead to one of the most successful gallery collections in the country, internationally known for its one of a kind offerings. This success has lead to the recent opening of a second Aspen Art Gallery location in the heart of the Cherry Creek shopping district, near downtown Denver. This location now allows Aspen Art Gallery to spread its artistic flair deeper into the local Denver community, and in many cases, provide great exposure and opportunities for Denver’s local artists as well. The newest addition to Aspen Art Gallery’s exhibiting artists is Christopher Owen Nelson, a Denver artist who explores construct fragmentation, past future and dream state in very distinctive cast acrylic panels. Treated with mixtures of paint, textile and language, Nelson’s work reveals a solitary yet sanguine narrative, a suggestion that no one person is seen in the same manner on multiple occasions by multiple observers. Nelson’s amazing 2014 piece, “A Million Years,” is now on exhibit at Aspen Art Gallery, with more to follow. One of Christopher Owen Nelson’s pieces will also grace the Flight to Luxury Red Carpet Hanger Party, along with art and sculptures from ten other Aspen Art Gallery Exhibitors. Also due to her completely booked performance at the Cherry Creek Arts Fair, Aspen Art Gallery Exhibitor Isabelle Dupuy will be painting an original art piece live at the event – to also be donated to the cause. The 5th Annual Flight to Luxury Hanger Party is being held on September 12, from 5:30 p.m. to 11:30 p.m. at two of Denver’s private jet hangers: XJet and Signature Flight Support, at the Centennial Airport, in Englewood, Colorado. Presented by Cuvee, the event will showcase custom-couture private villas by Cuvee, elite jets, exotic cars, and live entertainment. In addition to in the in-person event, the artwork will be auctioned online starting today at the following online address – https://myab.co/events/pZ/i/_Auction/. To learn more about the event itself, visit http://www.flighttoluxury.com/flight-to-luxury/the-event/. The bidding is expected to be fierce, as this auction also provides art collectors with a unique chance to purchase incredible pieces of art while at the same time supporting the Boys & Girls Club of Metro Denver. All proceeds from the Art provided by Aspen Art Gallery and its exhibiting artists go directly to Boys & Girls Club of Metro Denver. Aspen Art Gallery is now located in two locations in Colorado: its original home located at 228 S Mill St, Aspen, CO 80611, and its newer Denver location, located in the heart of Cherry Creek, at 2910 E 3rd Ave, Denver, CO 80206. Both locations offer a variety of fine art, modern art, and contemporary art with artists from around the globe. To learn more, visit http://www.aspenartgallery.com/ or contact Operations Manager, Devenie Adams, of Aspen Art Gallery, at 970-544-6655. *PHOTO 300dpi for media: Send2Press.com/wire/images/14-0827-A-Million-Years-300dpi.jpg . *Photo Caption: “A Million Years” by and copr. (c) Christopher Owen Nelson. Original Keywords: Boys Girls Club of Metro Denver, Cuvee Escapes, Christopher Owen Nelson, Luxury Hanger Party, fine art, charity event, luxe Aspen Art Gallery Denver Colorado DENVER, Colo.
REFERENCES: Corporate Social Responsibility News, Boys Girls Club of Metro Denver, Cuvee Escapes, Christopher Owen Nelson, Luxury Hanger Party, fine art, charity event, luxe Aspen Art Gallery Denver Colorado DENVER, Colo.